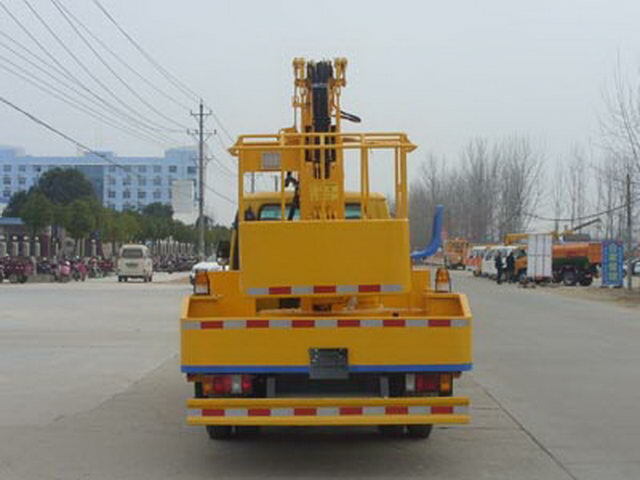 With the end of optional cab. The front of the car is845mm. 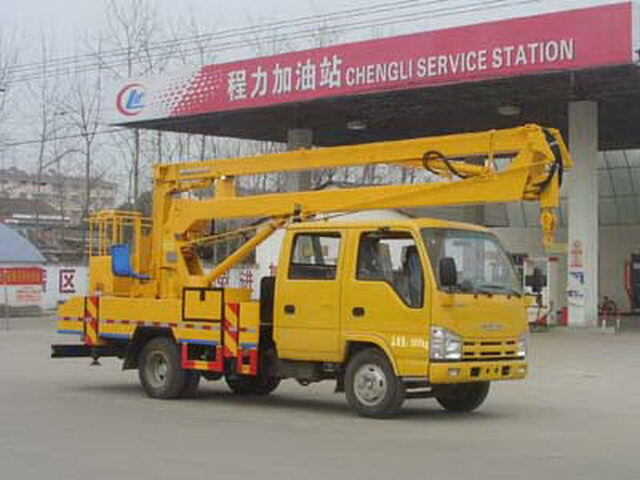 Optional section two work arm,Job height is12rice; Optional section three work arm,Job height is14M. 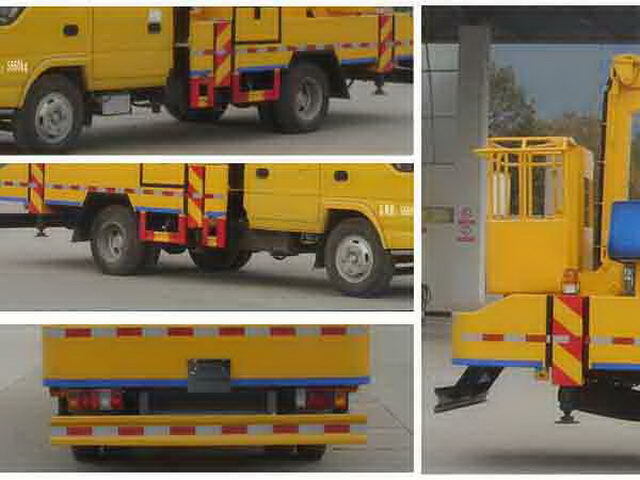 Protective material:Q235Acarbon steel,Connection mode:The left and right sides and the rear lower part are protected by welding connection,Rear section size(mm):170*50,Rear protection height(mm):410. 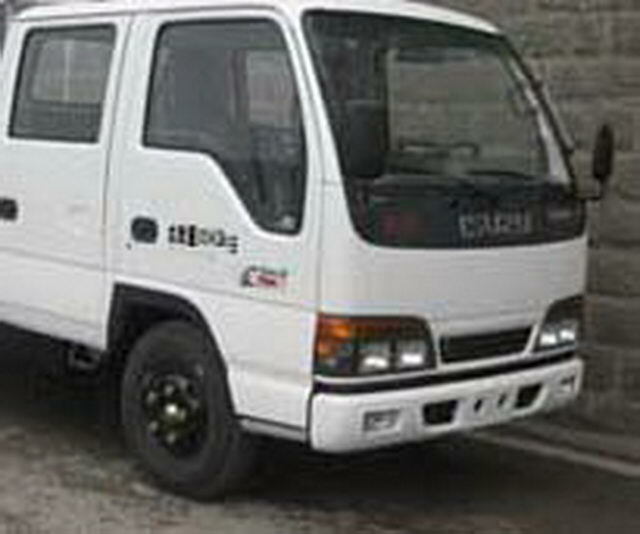 Other: 1And optionalABS,ABSModel:JN244FB,ABSmanufacturing enterprise:Chongqing Juneng automobile accessories limited liability company,ABSController model:JNY4T07B,ABSController production enterprise:Chongqing Juneng automobile accessories limited liability company.2The car optional new front lamps, a new grille, new front panel, widening front bumper.3Engine net power is71kW;4And optionalABS,ABSModelAPG3550500A4,Production enterprises as:Zhejiang Asia Pacific Mechanical and electrical Limited by Share Ltd.